Costco wants to build a new store on a 60-acre wooded lot next to the Cherry Capital Airport. All across Michigan, big retailers are seeking "dark store" tax assessments. They're saying their stores are difficult to re-sell, and their property tax values should be compared to empty - or "dark" - stores. Cherry Capital Airport Director Kevin Klein shares concern about dark store assessments, but says the new Costco will provide a big boost for the airport. Costco will lease 18 acres of airport land for $167,000 a year. Over the course of a 60-year lease, that’s an extra $12 million for the airport. Groundbreaking for the new Costco store in Traverse City is expected later this year. Traverse City Commissioners have given a green light to the store, but they’re worried Costco will seek a dark store tax assessment. Judy Allen with the Michigan Townships Association says the dark store argument – that the value of functioning big box stores should be equal to that of empty stores – would never be applied to residential properties. Costco and Wal-Mart declined to comment for this story. Target and Meijer did not respond to a request for comment. But all of these stores – plus Home Depot, Menards and others – have argued that their large stores are difficult to re-sell. They say the pool of potential buyers for a box store is limited, and their tax assessments should reflect that. But Allen says these retailers are purposefully making it difficult to re-sell their properties by using deed restrictions that prevent their competitors from moving into a vacant store. “We’ve seen restrictions be to the point of only a charter school could come in and utilize that property [or] it could only be sold to someone who would put it into go-cart operations,” says Allen. All over Michigan, big box stores are using the dark store theory to appeal their tax assessments to the Michigan Tax Tribunal. And the tribunal has been siding with them, often cutting tax bills in half. Two years ago, Costco built a new store in Oshtemo Township, near Kalamazoo. The township estimated the value of the building and the land at about $17 million. But Costco appealed the assessment before the store even opened, saying it’s only worth $4 million. That appeal is still under consideration. Allen says dark store assessing has taken a financial toll on townships, but they’re starting to fight back. “Our goal is to ensure that all taxpayers pay their fair share, and that all properties are properly assessed,” she says. The township association is supporting a bill in Lansing that would close the dark store loophole. Representative Larry Inman (R-Traverse City) is a co-sponsor of the bill. He says it would force the Michigan Tax Tribunal to take empty, dark stores out of the equation when deciding tax appeals. “If you’re going to give consideration for lowering the assessed value on a commercial property, we want them compared to other like commercial properties that are open and operating, and aren’t blighted and sitting empty for years,” says Inman. Right now, fighting against dark store assessing is expensive. Marquette Charter Township tried it in 2013. The township fought a tax appeal for Lowe’s home improvement store. They eventually spent $260,000 taking the case to the Michigan Court of Appeals – where they lost. Inman says a solution has to come from Lansing. “Local governments really don’t have the legal ability to fund the fight against these big, major corporations,” he says. Inman’s bill has had two hearings in the House tax policy committee. He expects it will soon make it to the House floor for a vote. Indiana passed a similar bill last year, and Inman says other states are now watching to see what Michigan does. In the meantime, more retailers – not just big box stores – are pursuing dark store assessments. The tax tribunal has granted them to auto parts stores, pharmacies and fast food restaurants all over Michigan. 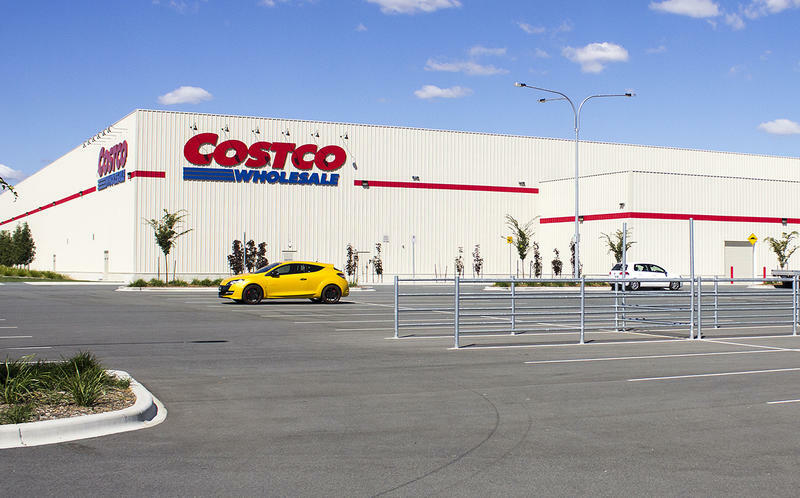 In Traverse City, the city commission considered waiting to approve the Costco deal until the dark stores bill works its way through the state legislature. But Airport Director Kevin Klein argued that some tax revenue is better than none at all. Klein expects Costco will break ground on its newest Michigan store later this year.